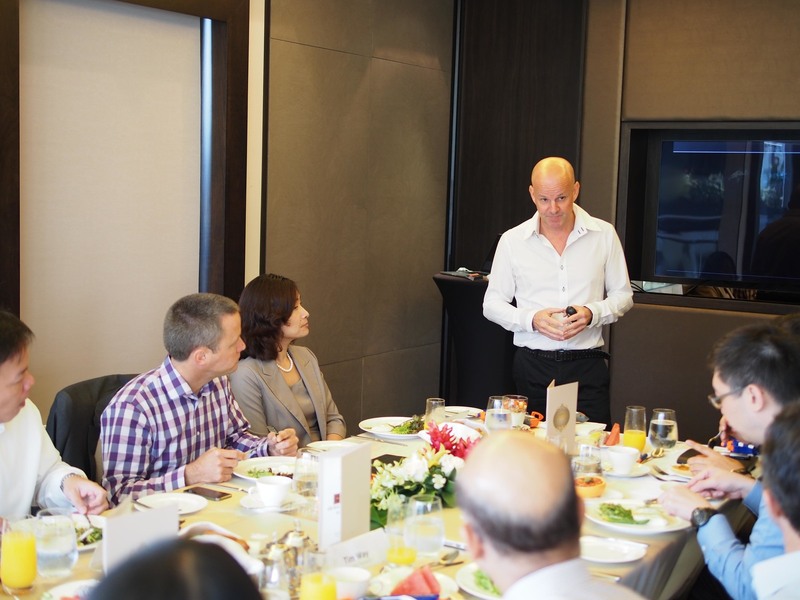 Maximum’s first HR Leadership Roundtable in Singapore saw selected senior HR decision-makers share tips and views on how gamification principles can benefit talent attraction and employee engagement strategies. When thinking of gamification, people tend to think of gaming consoles, first-person shooters, Super Mario, etc. To work with the principles of gamification, the general understanding should exist that anything and everything can be poured into a gamified format. Think of activity apps like RunKeeper, competitive games against friends and family, running your own cafe or shop, collecting points as part of a loyalty programme, check-in apps, unlocking badges and leaving recommendations for your network to view. You should now start to realise that gamification is all around us and functions as a way to increase engagement in mundane or complex tasks. Gamification = The use of game elements and gaming design techniques in a non-gaming context. How this is related to HR practices becomes easy to understand when engagement is taken as a key driver in candidate and employee relationships. Where conventional recruitment ads and employer branding exercises stay on the side of one-way communication in a ‘show and tell’ format, gamifying these efforts leads to more involvement and engagement, creating a higher-impact experience for the target audience. 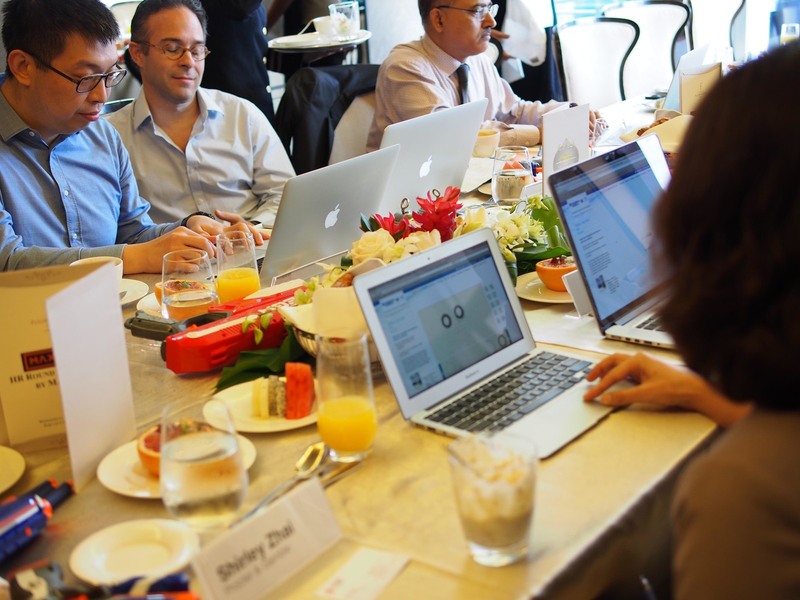 To stay within the theme and increase interaction, Maximum’s roundtable kicked off by handing out loaded Nerf guns to each participant with the instruction to shoot anyone who jeopardised the sharing nature of the discussion. Ed Barzilaij, CEO of Maximum Employment Marketing Group, illustrated that gamification doesn’t have to be complex and rely on heavy investments. He went on to share interactive banners previously developed for McDonald’s and the Dutch Ministry of Defence. The concept behind the Dutch Ministry of Defence idea is of a self-screening nature, where visitors can play wire loop games and tile puzzles to assess if they had the right technical insight and precision in completing these tasks to be qualified to join the Dutch Army. For the McDonald’s idea, the importance of working under pressure as a McDonald’s team member was highlighted. Visitors were challenged to fill an ice cream cone without spilling or making a mess. The roundtable members had their chance to play with the banners first-hand, and some of them admitted that the tasks were quite challenging to fulfil but at the same time sparked their curiosity in a fun way. Naresh Kapoor of Marriott Hotel Singapore shared his previous project experience in gamification for recruitment. One of Marriott’s cases is the Facebook game ‘My Marriott Hotel’, where players were invited to manage a virtual kitchen for the hotel’s restaurant. They had to take charge of budgeting, training the team, serving and ordering supplies. Points were given for happy customers and successfully running a profitable operation. The game was well received by the target demographic (17-24 year olds), which was supported by their responsive Facebook community management team. You may now be surprised to learn that the essence of gamification already exists in some areas of talent attraction. 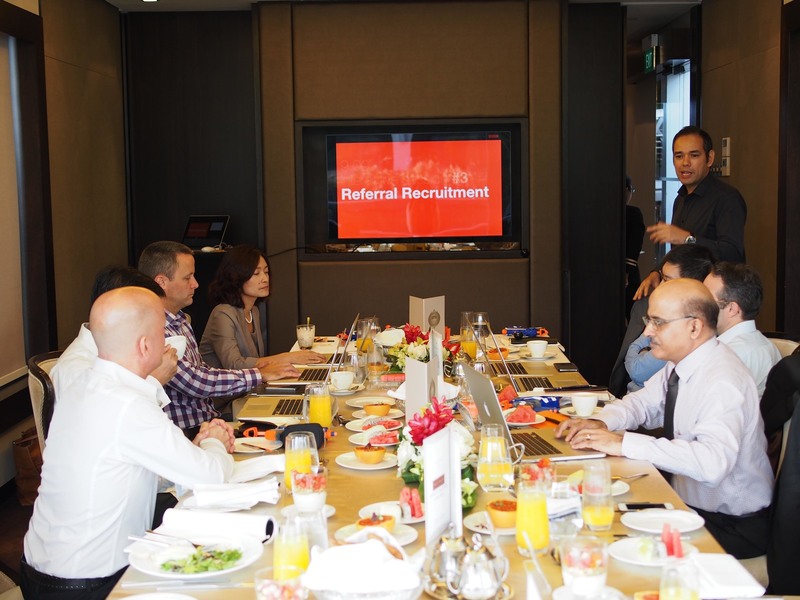 As employee referrals are widely recognised as the best source of hire (from a cost and quality of hire point of view), all the roundtable attendees agreed that, in a way, the setup of referral programmes is already gamified. Attendees believed that 10-30% of the current hires are coming from referral programmes and also admitted that this particular sourcing channel might not be leveraged to its full potential. By implementing gaming elements into referrals, companies can drive higher referral rates by increasing transparency and recognising participation. People should not only be awarded for a successful hire, but also for trying. Consensus was reached that gamifying referral programmes is the way forward.